The all Natural Flea & Tick Shampoo rids pets of fleas and ticks naturally through the use of plant-derived ingredients. This gentle yet effective lavender and cedar dog shampoo will relax your pet and leave a silky coat that is fresh and clean with the woodsy scent of lavender while repelling fleas and promoting a soft, glossy coat. 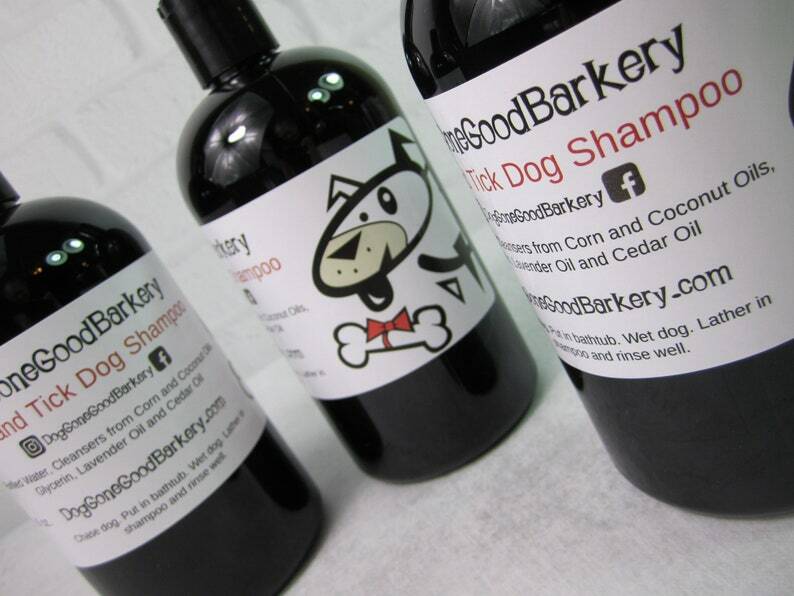 *Dog Gone Good Barkery All Natural Flea & Tick Shampoo contains NO sulfates, parabens, detergents, dyes, alcohol, synthetic colors, fragrances. *Rids your dog of pesky fleas and ticks naturally through the use of plant-derived ingredients.